Pair of wonderful cast iron balusters, converted to lamps, custom wood base and cap made for each, as well as matching finials; probably American, circa 1880. Very good detail to the iron. Newly wired. 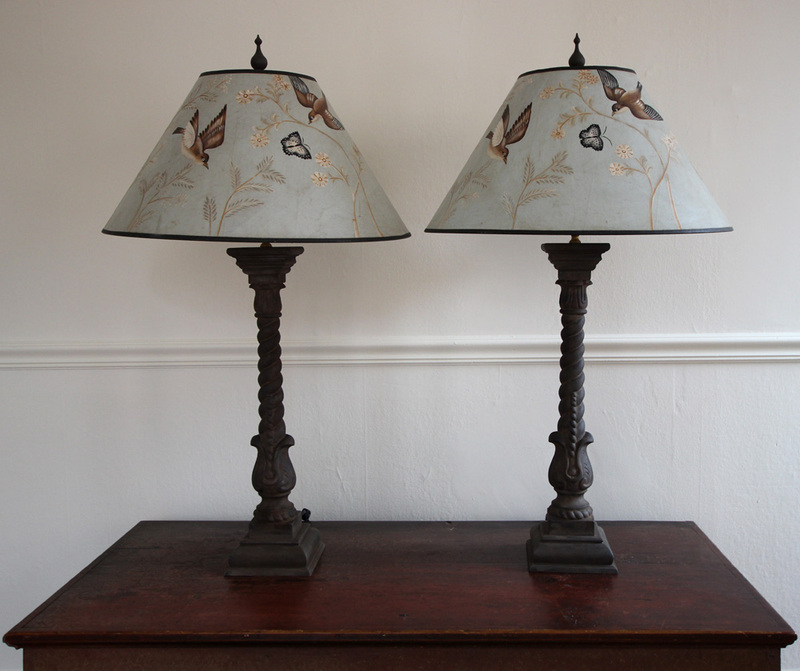 The small off-white fabic lampshades are included in the price of the lamps, but the hand-painted, light blue shades with birds and butterfly decoration are sold separately for $300.